Information: 1964 to 1966 - medium size driver's head, full-width or narrow bumpers. 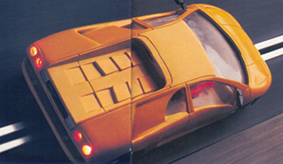 1967 to 1968 - small size driver's head and narrow bumpers. 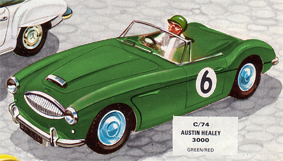 Make Details: Austin Healy sports cars were built between 1952 and 1972. 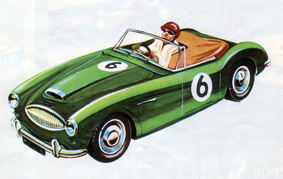 The Austin Healy was extensively raced in Europe and the U.S.
Model Details: The 3000 won numerous rallies across Europe in the 1960’s.